President of party of regions Alexandr Kalinin claims that President Igor Dodon spent 2 million dollars paying the Taliban who captured Moldovan pilots. The money comes from 20 million dollars that would have been with Dodon on a plane from Russia. This is another PR strategy in favor of PSRM made on Russian money, says Kalinin. The party leader Alexandr Kalinin, confirmed to obtain information revealed by some anti-Dodon representatives of PSRM, about president's involvement in case of two ex-hostages in Afghanistan. 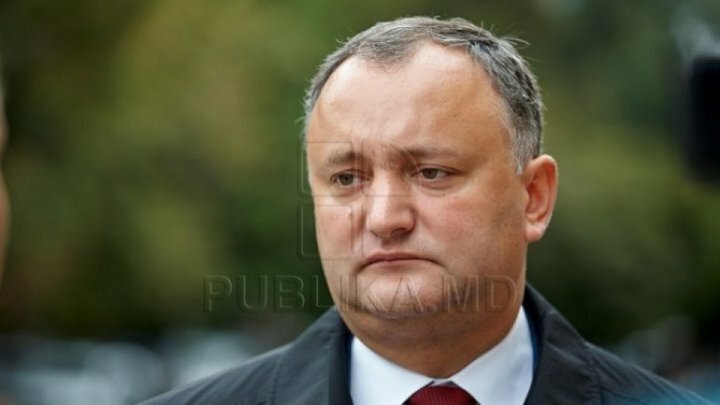 "Dodon brought 20 million dollars from Moscow with a Gazprom plane. He weaponized two Moldovans held hostages in Afghanistan to promote his image. Two million dollars was paid. How will the socialists spend the rest of money? ", said Alexandr Kalinin, the president of the Party of Regions. Shortly after President Igor Dodon announced return of two hostages but said they were in Moscow, leader of Our Party party Renato Usatîi declared the two pilots could have returned home sooner but were kept deliberately for election campaign. Parliament Speaker Andrian Candu and Prime Minister Pavel Filip also share the same voice. Moreover, Usatîi mentioned that someone from Moldova could have paid money to keep the hostages in Afghanistan and release them on time. He declined to say who was that person. "Someone sent me message and told me the situation was complicated. They said there will be elections in this region of former Soviet Union, the hostages will be kept until the autumn", said Renato Usatîi, leader of the party Our Party. Alexandr Kalinin also revealed that it is not known whether there was any agreement between Igor Dodon and those who would have given him the $ 20 million. In the context, Kalinin said he will notify the General Prosecutor's Office about the fact that the head of state would have received money to fund the PSRM campaign. "The pseudo-president of Moldova has a unclear and nontransparent policy because he says one thing but thinks and acts differently. Now the Russian authorities are disappointed. We have resources to confirm that nobody in Moscow likes Dodon, I refer to all levels of power, "said Alexandr Kalinin, the president of the Party of Regions. According to the President of the Party of Regions, the Moscow authorities continue to talk with Dodon just because of the lack of an alternative. Alexandr Kalinin has come up with an example in this regard. "The President spoke differently with what was written in his declaration that he was supposed to make in State Duma. Dodon changed the text of the statement. What he said from the tribune provoked only laughter and negative reactions. Nobody from deputies I've talked had positive reaction", said Alexandr Kalinin, the president of the Party of Regions. President refused to answer by phone to comment on the statements made by Kalinin. Moreover, PSRM spokeswoman Irina Astahova claimed the statements as political manipulation. The leader of the Party of Regions, Alexandr Kalinin, is a candidate for the February 24th parliamentary elections.